Nevada law requires all drivers to purchase liability insurance to protect them in case of an accident. Drivers without valid car insurance are subjected to stringent fines and penalties. Read below to learn more about Nevada car insurance law, requirements, programs, and rates. NOTE: If you are a new resident in Nevada, you must register your vehicle within 30 days of establishing your residency. The DMV requires your policy number and other relevant information appearing on your car insurance card. So make sure you carry this card with you. The DMV uses an online verification system to verify the information appearing on your insurance card. If you are caught driving your car without the required minimum insurance cover, your driver’s license and car registration will face suspension. Nevada has a LIVE system that checks your car insurance status throughout the year especially when you register or renew your vehicle registration. If there is no insurance information about your vehicle, you will be notified in written. You must respond within 15 days or face vehicle registration suspension. You can respond to the notice online through Nevada DMV’s website. Upon responding to the notice, you will receive either: Immediate confirmation that your car insurance information has been updated OR A pending notification. This tells you that DMV is awaiting record verification from your car insurance provider. You will be notified in written on your car registration suspension if: You fail to respond to the initial notification within 15 days OR Your car insurance company fails to respond to DMV’s verification request within 20 days. If your car registration is suspended, you must pay a fine of $250 to get it reinstated. The number of insurance violations that you have committed. Driver’s license suspension for at least 30 days. If the accident in which you were at fault and without insurance results into property damage worth $750, then your vehicle’s registration and driver’s license will be automatically suspended. You must file SR-22 certification if you are caught violating insurance laws and other violations. 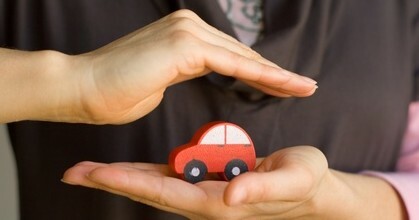 Remember an SR-22 is not insurance, but a guarantee that you will hold minimum required coverage for a specific period. In Nevada, it is normally 3 years period. Your must file this form through your car insurance company, who must then send it to the Nevada DMV. You must carry proof of insurance (insurance ID card) with you all the time when you are driving. This card is issued by your car insurance company and must be presented to a police officer when you are pulled over the road or when an accident occurs. Nevada Division of Insurance (DOI) is the body that is responsible for regulating insurance matters. This body also deals with car insurance complaints and frauds. Southern Nevada at (702) 486-4009. By mail or fax: Send the Consumer Complaint Form to the address or fax listed on the form. By phone at (800) 266-8688. Almost all car insurance companies use driving record when calculating your car insurance rates. Committing many traffic violations can raise your car insurance rates because you are considered a high-risk driver. The best way to get the cheap car insurance policy is by keeping a clean driving record. There are also special discounts for drivers over 55 years old and teens with driving education courses.